The OpenOfficeMouse includes default profiles for the five core OpenOffice.org applications based on 662 million datapoints compiled by the usage tracking facility incorporated into OpenOffice.org 3.1. These profiles can be easily customized to suit the user’s preferences using the included OpenOfficeMouse setup software. The setup and customization software is an application that will be released as an open source software project under the GNU Lesser General Public License version 3 in the first quarter of 2010. Default profiles for 20 other games and applications are also included; the OpenOffice Mouse supports up to 63 profiles to be stored simultaneously in the mouse’s memory. 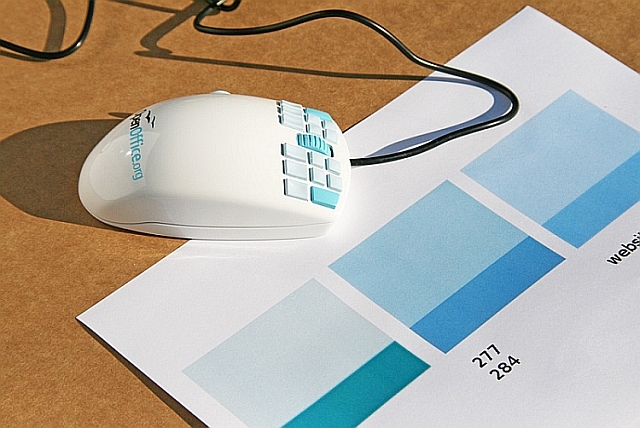 via OpenOfficeMouse: The Multi-Button Application Mouse for OpenOffice.org. I don’t know what’s more ridiculous: that this is actually a serious project, or that that’s the most hideous mouse I’ve ever seen.